Don’t throw out that smashed palette just yet! After splurging on a pretty palette, the last thing you want is for it to hit the ground with a thud. But there’s no use crying over broken eyeshadow. The smashed pigment is the key ingredient for one saturated manicure. Celebrity nail artist Jenna Hipp posted her DIY polish recipe on Instagram, and the formula is just as colorful as the shades at the salon. 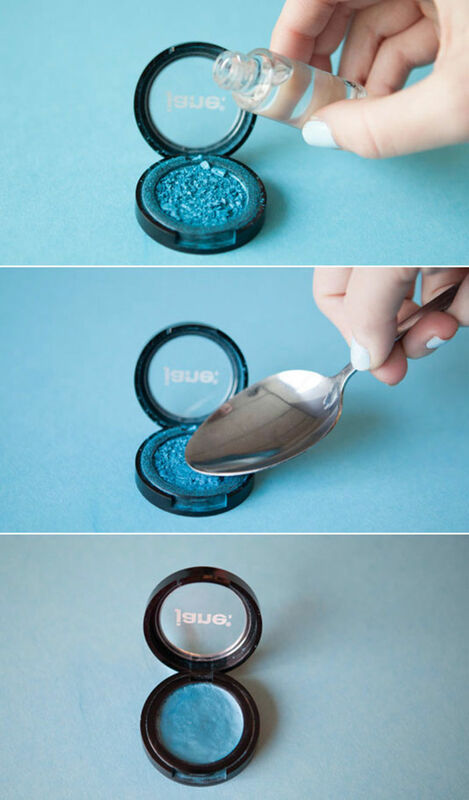 Just mix your (sob) crushed eyeshadow with clear polish for a custom color. “For this super quick, easy (and eco!) look, I added a final dusting of contrasting eye shadow for a little extra wow factor,” she wrote. Wow indeed! Even if your palette’s still fully intact, it’s an easy way to repurpose the shades you never use, like trendy-but-tricky blue or glitter. Plus, eyeshadow expires after two years anyway, so it might be time to rethink the compacts you’ve had since high school. Fair warning, though. Don’t expect perfection. “In theory it could work, depending on how well they were mixed together,” advises Birnur K. Aral, PhD, Beauty Director at the Good Housekeeping Institute. “The finish could be bumpy and not come out smooth or shiny.” But if the makeup is otherwise destined for the trash, it might be worth a shot. 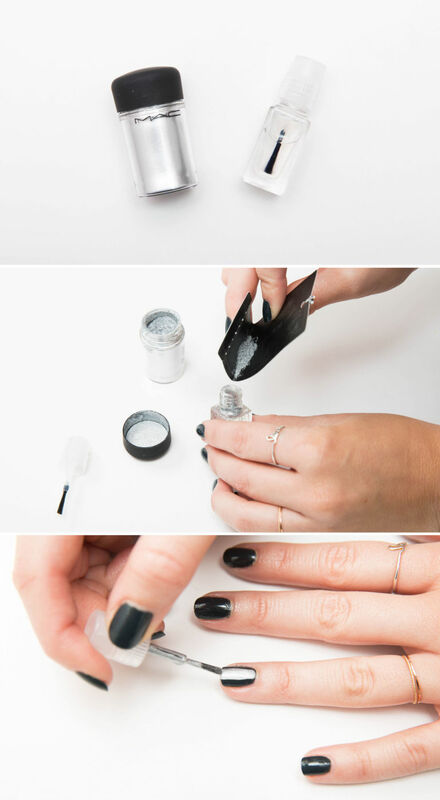 Just follow this easy tutorial from Cosmopolitan: Pour some pigment in a bottle of clear top coat, shake it up and then paint away. Switch up the ratio to create an opaque or sheer hue. Still upset over your would-be smoky eye? There is a way to save the leftover bits and pieces. Pour a little rubbing alcohol on the pan until the crumbles become a paste. Then, press them back together with the back of a spoon. Once the alcohol evaporates, the product will be ready for blending again. Whatever you pick, you’ll be saving your favorite pigments from the garbage. All that’s left is deciding what to do with rest of your overflowing stash.